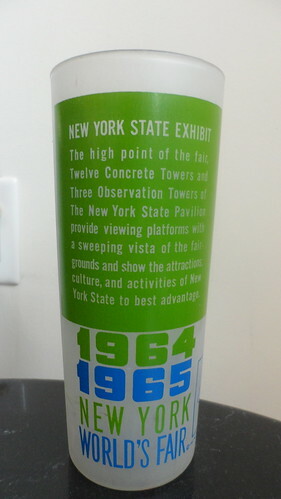 It’s Throwback Thursday and we’re featuring this World’s Fair 1964-1965 commemorative glass. I purchased this one at a thrift store in LIC, Just Things, which has a handful of World’s Fair memorabilia. You can also get one at the gift shop at the Queens Museum of Art.